Rotterdam has world class museums, a busy port with a fascinating history and is a vibrant, lively place. So don’t overlook The Netherland’s second largest city just because it was almost totally flattened during WWII. In the absence of medieval charm, here you’ll find a constantly changing and regenerating skyline and a progressive approach to architecture and civic decoration. Which really adds to this city’s youthful, exuberant feel. Many of the best places to stay in Rotterdam are great modern experiments in architecture and design, and a lot of fun. Near the top of Rotterdam’s list of world class museums is the Museum Boijmans van Beuningen which has a superb collection of both Dutch and European old masters. Impressive works from all eras, including many Monets several works each by Gauguin, Van Gogh, Degas, Magritte, Man Ray, Marcel Duchamp and Salvador Dali. 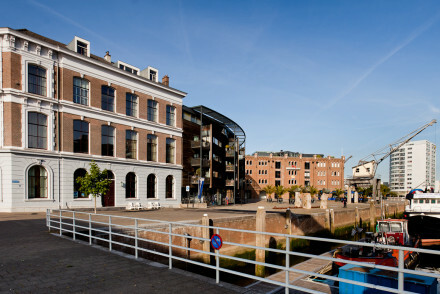 In addition there is a city museum, the Rotterdam Museum, two maritime museums and a war museum. Rotterdam is a great place for shoppers. As well as boutiques there are a number of markets, including the massive Blaak Market, which sells pretty much everything you can imagine, from food to clothes, antiques and fake antiques. If you’re interested in more historic sights visit the beautiful recreated Dutch wilderness of Tuin Schoonoord park and Kinderdijk, with its 19 World Heritage Listed windmills standing on their reclaimed land. Our pick of the best places to stay in Rotterdam are all ideally located right in the centre of town, so perfect for a short city break. A city landmark, the Hotel New York occupies an historic building in a peerless, riverfront location. There are 72 large, sleek rooms, a smart cocktail bar and a choice of dining options. 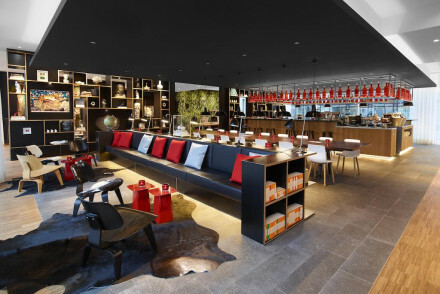 citizenM Rotterdam is a great example of the brand's "luxe for less" ethos. It has 151 compact rooms with the usual floor to ceiling windows, rain showers and gadgets galore. Communal areas have a hip, fun vibe and with rooms from €119 per night, it's great value too. The stylish Mainport Hotel is right on the banks of the Maas River, with exceptional views. The 215 rooms are flooded with natural light, accentuated by white linen and patterned wallpaper. 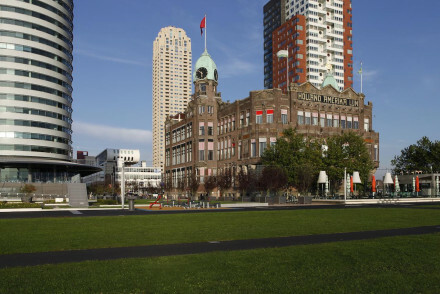 There’s also a spa and wellness centre, and you’re within walking distance of many of Rotterdam’s main sights. 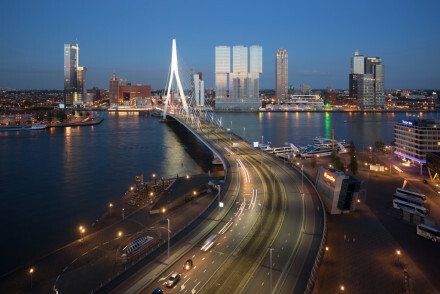 nhow Rotterdam is another large, modern hotel in central Rotterdam, but with great views across the port and the city. Designed by renowned architect, Rem Koolhaas, the decor is neutral and they offer bike hire as well as gym access. There’s also a fun rooftop cocktail bar. Historic on the outside with contemporary interiors, the Suite Hotel Pincoffs is a laid back spot right on Rotterdam's trendy left bank. And with suites from just €110 per night, it won't break the bank either. For those interested in some additional privacy, we recommend visiting our online partner Booking.com. The city is serviced by Rotterdam Airport. For those looking to hire a car, we recommend visiting our online partner Rentalcars. June to September is the best time to visit when the city comes alive with festivals and events and the temperature sits in the high teens. Local exploring - Great location in the old port area. 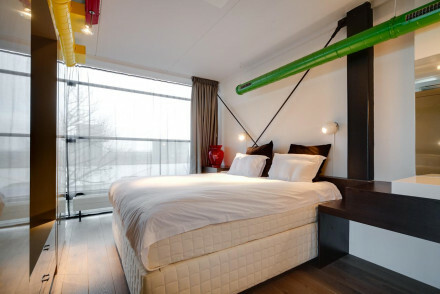 Bold, unconventional hotel with industrial styling and minimalist but spacious rooms. Out of the centre but close to a water-taxi stop, it has a popular all-day cafe-bar and bakery. Sights nearby - Delfshaven port gives you a great idea of what Rotterdam looked like before WWII shelling. Local markets - Take a trip to the stunning indoor Markthal. In a historic building in a peerless riverfront location, the hotel New York is one of the city's landmarks. Large, sleek rooms, a choice of dining options, and a smart cocktail bar. Sailing - Take boat cruises to both the port and upstream to the attractive riverside town of Dordrecht. Local markets - Visit the visibly striking Markthal and browse its fine selection of food stalls. Great walks - There are great walking paths along the river. A very cool hotel on the canal - its historic exterior complemented with up to the minute interiors. Boutique suites have mezzanine levels, warm decoration, and state of the art mod cons. Lively bar serving lunches and snacks make this spot a must for young couples and groups of friends. Value chic - With rooms from just €110 per night, it's excellent value. City Style - Chic modern accommodation in Rotterdam's trendy left bank. 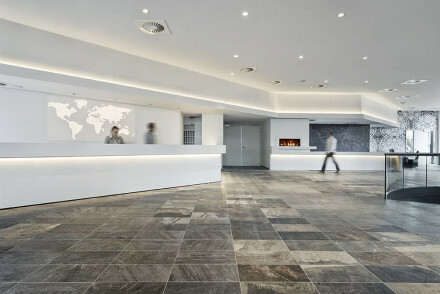 Slick, chic, designer hotel in Rotterdam. Ensuite rooms contemporary and modern in neutral tones with air conditioning, a free minibar and views across the port and city. With a fun skyline cocktail bar, restaurant, gym and bicycle hire. A stylish and funky hotel. Swanky, designer hotel, centrally located and overlooking a harbour. Large, colourful rooms have top-notch fittings - including saunas and whirlpool baths - plus there's a spa with the city's only hotel pool.